How do I share my payment links with my customers? To share the payment links, you created, go to dashboard. 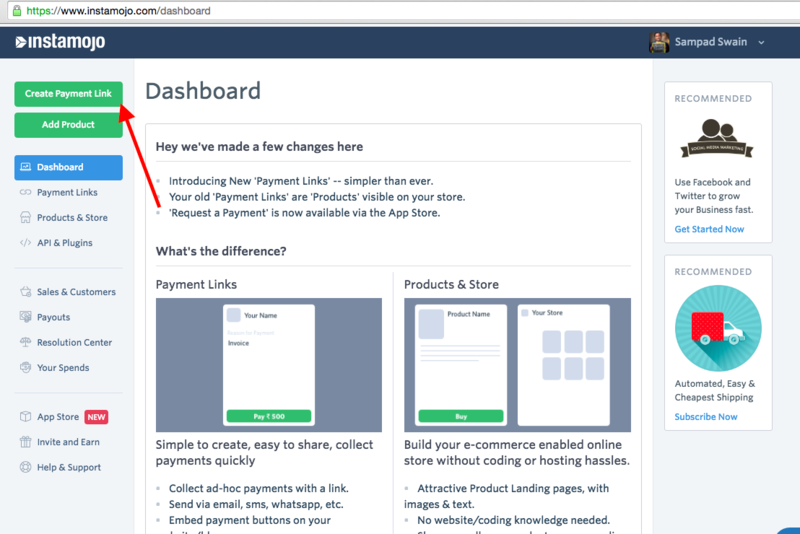 Click on “Payment links” on the left hand side of the dashboard. A list of payment links will appear on your dashboard now. Find the one you want to share with your customers. You will see a message icon on the right side of that link. Click on it and a share window will appear. 1. Copy-Paste: Click on Copy in the same window. The link will be copied to your clipboard which you can paste anywhere you want. 2. Email: When you click on email, a compose window will open from where you can send emails to your customers. 3. Twitter: Clicking on Twitter button will open a Twitter pop-up which lets you edit a tweet along with the payment link. 4. 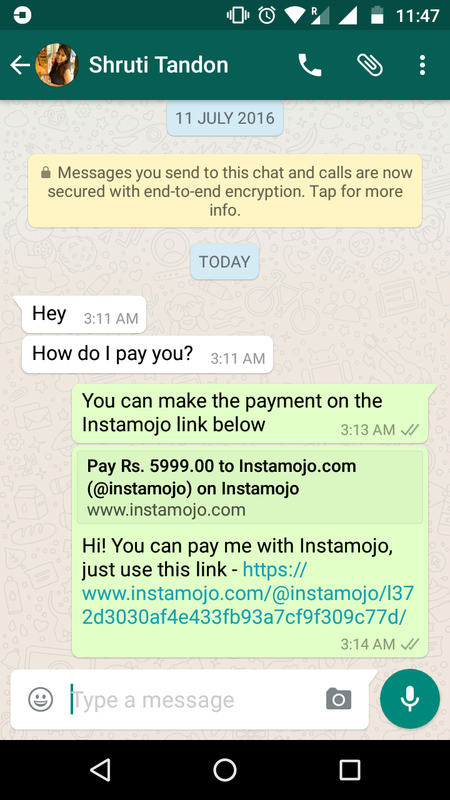 WhatsApp: This opens your WhatsApp app where you can select the contact/group where you want to share this payment link.